The Year that Was, the Year that Will Be! As the year comes closer to the end, its perhaps time for reflections on what has happened, and what's to come. Last year (2013) was a big roller coaster for me, ups and downs and loop-de-loops. 2014 was a surprisingly rather stable year. If anything, I feel I've grown better in many ways. 10 million downloads.. and counting! One of my best achievements this year was hitting 10m downloads on my football game. (Just hit the mark recently). The game was published in February, ended its first 30 days with over 3m downloads. And hit 5m by the end of month 2. It was awesome being ranked above Angry Birds and even the FIFA game by EA Sports. I believe I've also grown in terms of my understanding of Unity3D as a development tool, and what its like to move on to the next rung on the ladder. At the same time, successes and failures in the play store has thought me how dynamic this game of apps really is. I'm now looking at building my brand. 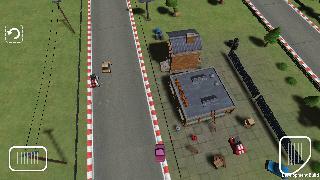 And I'm starting off with developing a racing game which hopefully will hit it big. I'd love for it to sit next to titles like Real Racing, CSR Racing, Reckless Racing and even Angry Birds Go! Its huge right? The dream? Especially for a single developer. Those games really were my inspiration in doing this, and it will be great for the "student" to outshine his "masters". I've so far been a developer who minimizes the damage, develop something in the least amount of time, and hope for the best. This time around, I'm gonna go with passion. 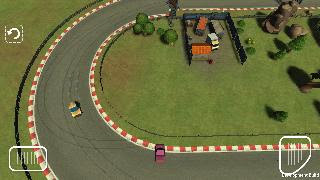 It will be a game that's gonna take time to develop, with tracks and cars to unlock. I'll be looking at a new advertising strategy of using rewarded ads (I've never used these ad types before). And at the same time ensure that users have their fun. I know the dangers. I know it can be a failure. I also know it can be a success. And that's what matters. There is a dream that some publisher or sponsor joins on board (let me know if you wanna be/ know a publisher/sponsor :P ). What will this finally boil down to? It will hopefully tell you and me, that this is possible. There can not really be a "failure", as there is still a learning opportunity, I'll still gain from this development. You can't say its an apple to apple comparison when you match up a lone developer against , say EA, but I'd love to buy that challenge. To all the Goliaths out there, look out, the Davids are here! 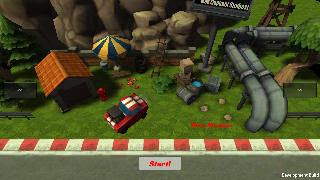 Check out screenshots of the racing game at prototyping stage below. I'm often considering changing this blog from a personal experience one to one which is more business focused. It might happen, will see about that. I'll also be sharing my development details of the racing game (do join me on twitter @mobiadage for more direct communication / updates). I'll share useful stuff I learn along the way, especially in Unity3D. Am I done for the year? Not quite, the brand building has started, and hopefully the name will be as common as the other big names.